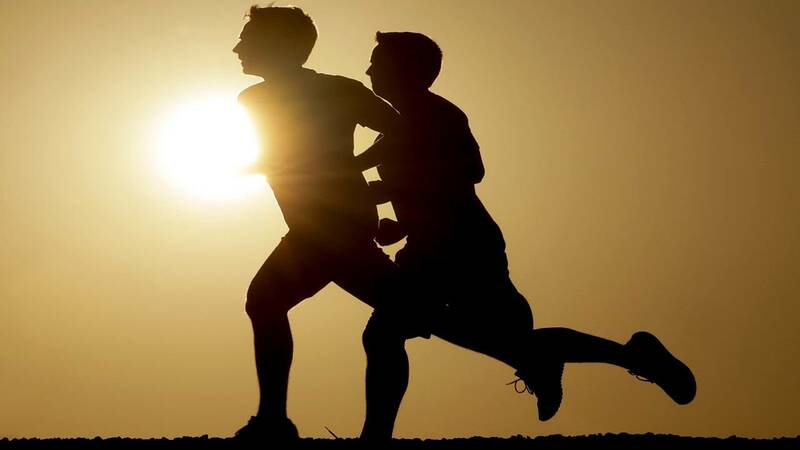 ORLANDO, Fla. - Several Central Florida counties have been named among the healthiest in the Sunshine State, according to a recently released study. The Robert Wood Johnson Foundation and the University of Wisconsin Population Health Institute collaborate on the nationwide study each year to determine the overall health of each county in each state. Factors such as length and quality of life, percent of babies born with a low birth-weight, access to healthly food and medical care and more are taken into account when determining each county's ranking. In Florida, the healthiest counties were concentrated in the southern part of the state, followed by the central region. 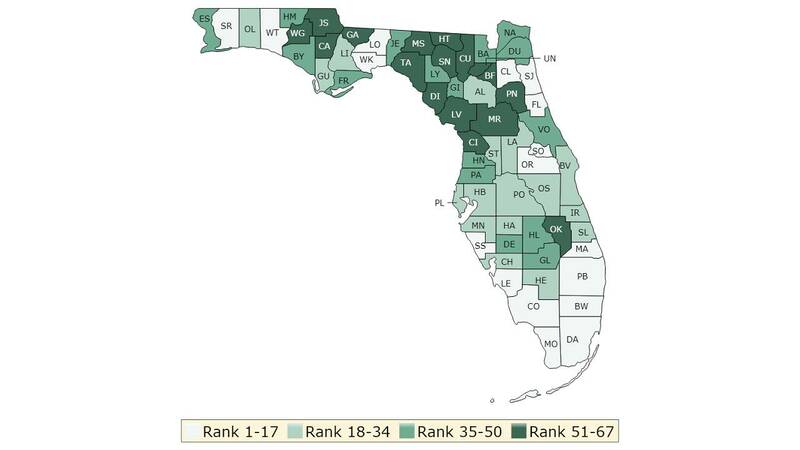 North Florida had the highest amount of low-ranking counties. Researchers say the data proves that where a person is located geographically can affect how well and how long they live. They also noted that physical health is greatly influenced by quality of life and access to resources, which in many cases is dependent on income. "Social and economic factors, like connected and supportive communities, good schools, stable jobs, and safe neighborhoods, are foundational to achieving long and healthy lives. These social and economic factors also interact with other important drivers of health and health equity. For example, housing that is unaffordable or unstable can either result from poverty or exacerbate it. When our homes are near high performing schools and good jobs, it’s easier to get a quality education and earn a living wage," researchers wrote. Race also comes into play, with the researchers pointing out that quality of life is generally worse for Native American, black and Hispanic residents when compared to whites and Asians. Even in the healthiest counties, black and American Indian premature death rates are about 1.4 times higher than the white rate. Department of Health Orange deputy health officer Nasseam M. James said the department considered those influences when working to improve the county's score from last year to this year. “The leap to the number 10 spot is not by accident. No, this is the result of community collaboration and intentional efforts to address health outcomes strategically and through targeted initiatives. I am happy to share in this achievement with partners and stakeholders as our community strives toward building a culture of health in Orange County,” James said. For those counties that ranked lower on the list, researchers note there are ways to improve the health of residents. Access to stable, affordable housing, for one, has a major influence on health because those who spend the majority of their income on rent or a mortgage payment have little left over to spend on medical treatment or to invest in their well-being. Improving inclusivity and connectivity in communities is another way to move forward. To do this, leaders should focus on making sure everyone has access to earn a living wage, public transportation, quality health care, effective schools, grocery stores and more. To read the study in its entirety, click here.